Mr. Burns looking around, sad. Hard Times is a largely wordless commercial advertising Coca-Cola, the well known soft drink. It was shown during Super Bowl XLIV, in 2010. A Newscaster (voiced by Maurice LaMarche) reports on (and jokes about) the loss of all of Mr. Burns' money. 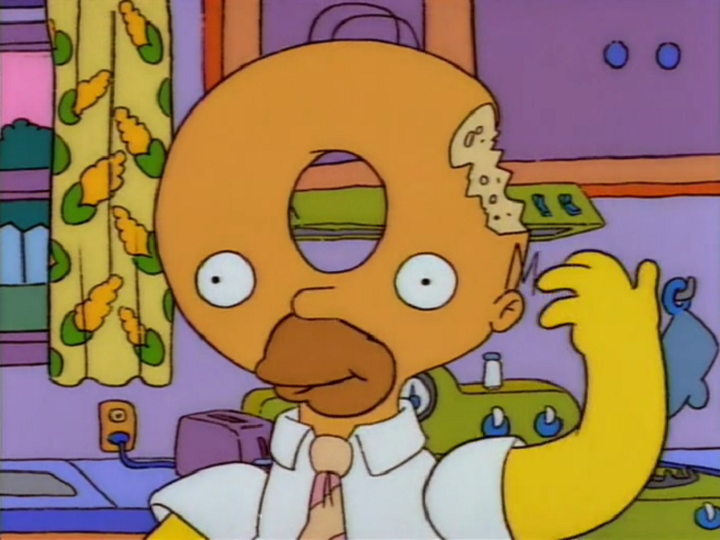 The television that the story is shown on gets carried away by Lenny and Carl. Burns watches in deep sorrow as all his possessions get sold off and taken away (even Patty and Selma take away Smithers). Burns stands outside the padlocked gate of his old mansion, which gets carried away by helicopters. Burns then takes a walk in Springfield Park and watches people getting along like Smithers butlering Patty and Selma, Nelson pushing Martin and Krusty pushing Plopper on the swing set. Even Chief Wiggum and Snake are holding hands (though they are handcuffed together, but they still smile) and holding bottles of Coke. He passes by Maggie and Baby Gerald getting along while Gil gives out Cokes behind him. 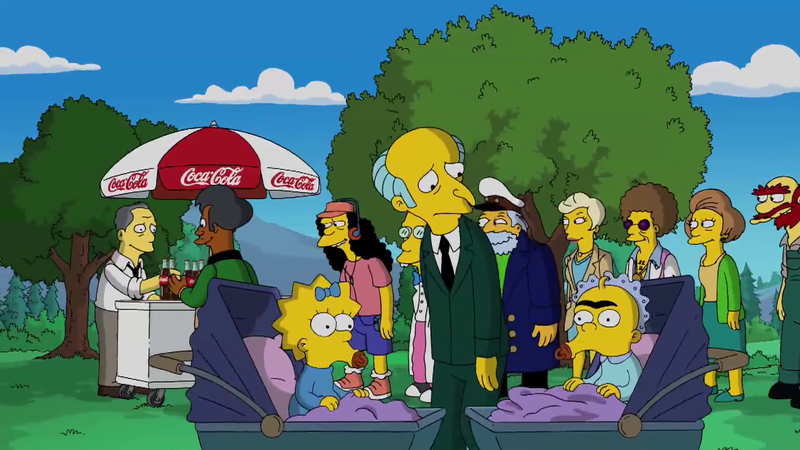 Apu grabs two armfuls of Cokes and then spots Mr. Burns and sympathizes with him. He walks up to him and gives him one of his Coke bottles. Burns takes a sip, catches a football and gets carried off by Lenny and Carl as the Simpsons look at him, and Bart gives Homer his Coke. Jimbo is seen flying a kite made out of the artwork that he purchased from Burns' sale with Milhouse riding it. The kite bumps into the Coke bottle logo, and Milhouse says, "Uh, sorry, Coke." Modified on February 21, 2015, at 15:32.